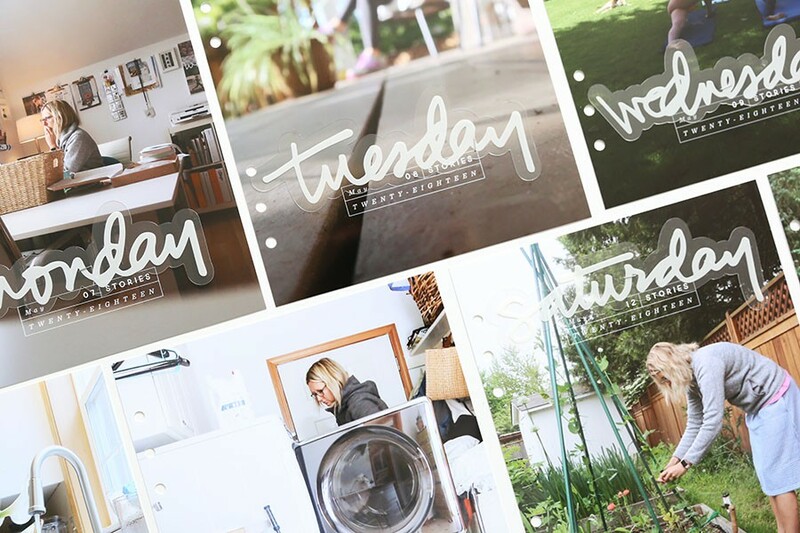 On Monday ( or starting on Sunday) many of you will join me in embarking on documenting a week in your very own life. A week that will include highs and lows. A week that will include meals and work and people and emotions. A week that will include the regular stuff of life and little surprises along the way. A week of your life as it exists right now. Week In The Life™ isn't about taking a photo of every single thing in your life for seven days in a row. You could totally do that if you wanted to - strap a GoPro to your head and go for it. Taking that many photos just creates a new problem for many people - how in the heck do you use all those photos? Find your own rhythm with your photos. I always end up taking more at the beginning of the week and less at the end - it's just how it goes for me and I'm okay with that. Week In The Life™ is about looking for the patterns and stories via the lens of your camera and the words you write down. Look for stories as you carry your camera around. What are the things that make up the piece of your life? When I first started Week In The Life™ I focused quite a bit on making sure I wrote stuff down throughout the day. The last few years I've written less during the day and more in the evening at the end of the day as I reflect back on what's happened and looked through my photos to post on my blog. As I look through the photos from my day stories I might not have really seen become visible - things that might be beyond the surface. Again, I'm looking for routines, for rhythms, for patterns, and for the pieces that make my life mine. My goal, as always, is to capture, via words and photos, the season of my life right now. Not your season, not my parents season, not my kids season (even though that is a part of the story) - mine. We, you and me, are the main characters in our stories. Remember that as you go about your week. As I mentioned recently in another post, I chose this particular week this year because I would have the kids for a portion of the week. In all my past albums I've chosen dates when my kids were here but that's the not full story of my life. This year I want to tell more of the other story - the story of what it's like when they aren't here with me. Please know that this is not a sad story - it's just a piece of my whole story (which is my One Little Word® for this year and feels fully appropriate). I'm excited to document this piece in this way. My hope is to capture the things in my life that bring me joy and make me me outside of my role as Mom. You can read my 2015 intention here for a different perspective on what I was looking to document last year. 1. SET AN INTENTION AND/OR HAVE A REASON WHY // What do you want to focus on this year? What is your reason for doing this project this time around? What are you most excited about capturing? Why are you taking time out of your precious life to make this project a priority? Write it down somewhere you can see it as a reminder to yourself. 2. NARROW YOUR FOCUS // After you figure out your reason why, consider narrowing your focus. For some people the concept of documenting a week is just too broad and the broadness holds them back from doing anything at all. In the Week In The Life™ Facebook Group one of the community members (Carolyn) is doing six photos from six different themes each day (family, play, everyday, nature, enjoy, work). For me, I want my focus to be more broad but if that idea helps you get a handle on this project then run with it. As with all the projects I embark on I encourage you to make it work for you. Keep in mind that narrowing your focus might just mean getting clear on your intention for this project. 3. REVIEW PAST WITL PROJECTS // Even just flipping though them will remind you what you loved, didn't love and what you want to do the same or different this time. 4. IF YOU ORDERED THE KIT, OPEN IT UP // I took some time today to open up the kit packages, look through the cards and get my page protectors in order. This helps me think a bit in advance about how things will flow within the album even before the week begins. 5. 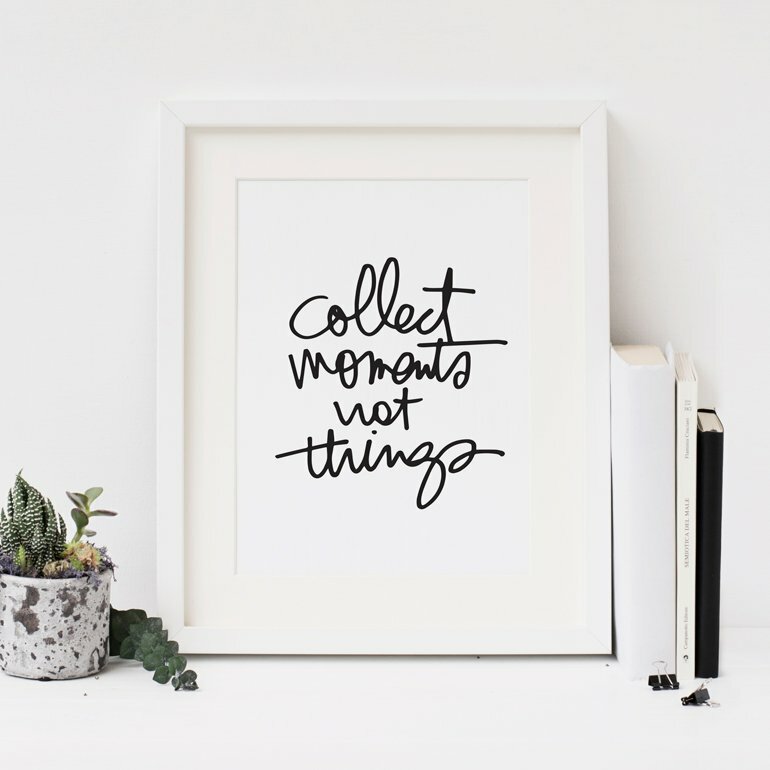 TAKE IT DOWN A NOTCH // Don't worry about how many or how your living room looks or what kind of camera you have or whether you stay at home or go to work every day or on and on. Use what you have right now to capture your life right now. No stress, just documentation. 6. DOWNLOAD THE DAILY SHEETS // People have been using these for a number of years now to help document the days. They are a great starting point for learning how to write stuff down over the course of the week and then the content can be transferred to your album later. Download the 6x8 version here. Download the 8.5x11 version here. 7. GET YOURSELF IN THE STORY // You are the main character in this story and your story is worth telling. 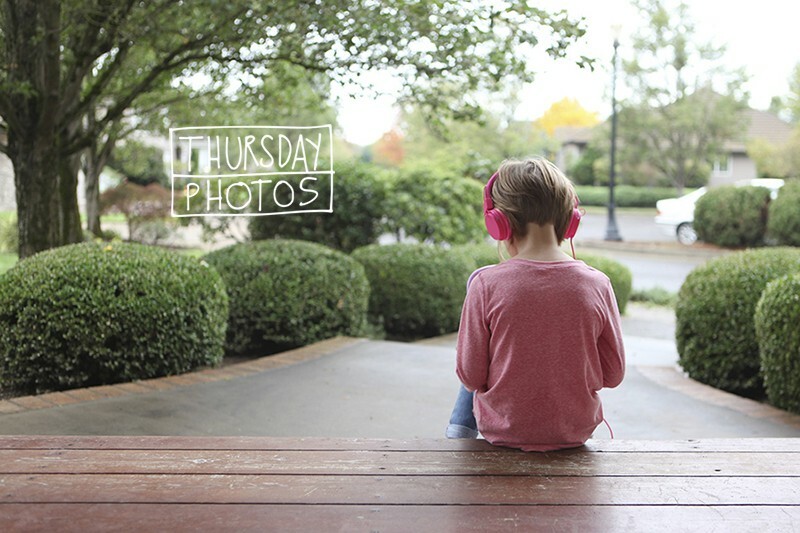 This project is an awesome opportunity to play with self-portraits using the timer on your camera (iPhone, DSLR, etc). Use this as an opportunity to practice getting yourself in the story - either by making it happen for yourself or by asking others to take photos of you as well. 8. 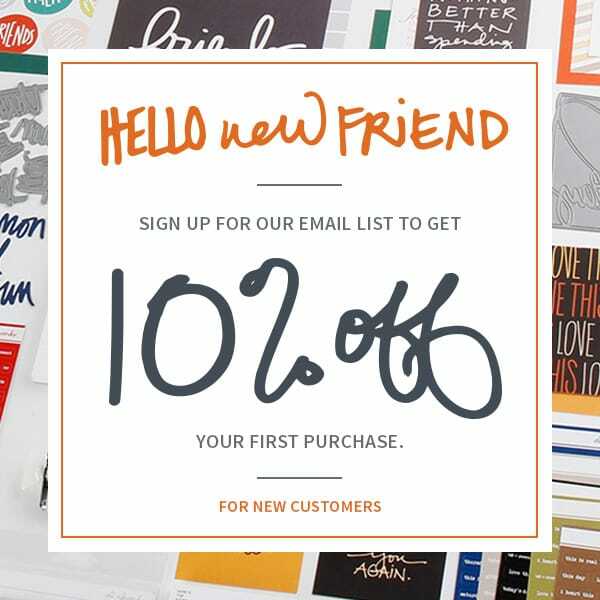 PURCHASE A LAYERED TEMPLATE SET AND/OR WORD ART // For those of you who are digital or a combination of digital and physical don't forget to check out the new layered template sets and word art that became available last week. I'll be using the 6x8 set as the base for my opening and closing page each day. Check out all my past Week In The Life™ posts via my archive here. On Monday morning I'll share a ready, set, go post and then on each of the following seven days I'll share my personal photos and words here on my blog. 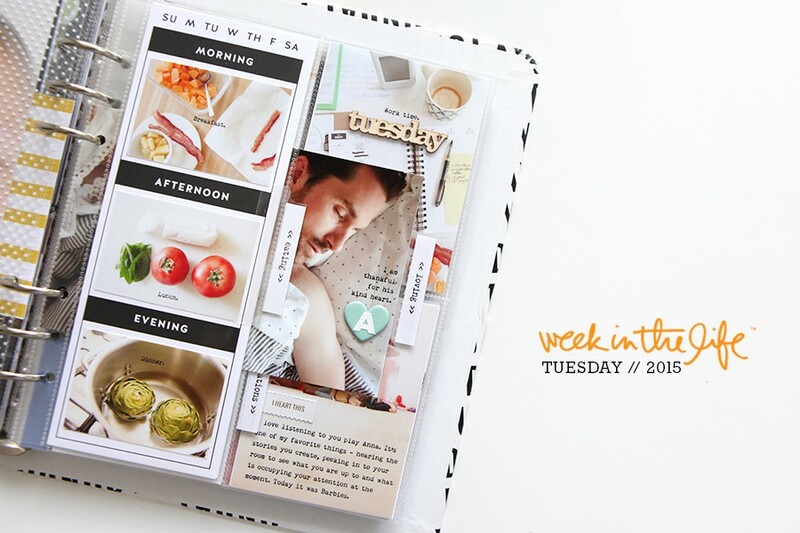 In the following weeks I'll share how I use the Week In The Life™ kit + the digital supplies to bring my words and photos together with intentional embellishments. My friends, you can do this. So beautiful Michelle. Hope you have a wonderful week! my third time, too! and the second one still needs to be finished (wednesday and friday left). I'll try to finish it up today! So inspired. I actually started my WITL today, as we are going to be traveling next weekend. So looking forward to how this one turns out! Thanks for this post to provide some structure and intention. I love this post Ali. Each year you help me get calm and focus. Thanks for taking the time to do this! I spent some time this afternoon with my planner and notepad jotting down some ideas. I really want to be more intentional this year and not go overboard on the photos. I want to capture how our lives have changed since the last WITL and how it's stayed the same. What makes us, us if that makes sense. If I were to look back on this album in 5 years, what stories will I spark by what I capture. Is it the essence of who we are today. A slice of life so to speak. What will I want to see and look back on. I may borrow Carolyn's idea too for a theme for my focus photo/story. We'll see. One year I focused on one part of each day, like our morning routine on Monday, work routine on Tuesday, afternoon routine on Wednesday, etc. It really helped take pressure off to get one main photo and story and then supporting stories for the rest of the day. I didn't feel like I had to have my camera out all the time which helped. I went through my album set up so far and really, I won't use more than 15-20 photos a day, and most days could use 10 or under. So I hope to make them intentional. We'll see. It's probably going to be a busy work week. I may plan to say off social media as much as I can so I can focus more. But, hey that's part of our stories too! Looking forward to seeing how your week and stories unfold. I think it's a beautiful idea to capture this part of your story. Agree with Michelle--you are a light and much appreciated! Thanks for this project. I love it. Have a wonderful week! And I just went through some of your old posts. I may be overthinking things. I loved this quote from you and think I will use it as my intention: "I challenge you to take this opportunity to celebrate and to write and to photograph your life as you are living it right now. No one can tell this story but you." Love this idea: "One year I focused on one part of each day, like our morning routine on Monday, work routine on Tuesday, afternoon routine on Wednesday, etc". Thank you for sharing it, I may give it a go this year. I also want to have less photos and we'll see how that goes. Thanks! It really helped that year--I was working long hours with a really long commute. It was challenging and I couldn't take the time to document everything and still get work done and get home in time to be a mom. I still ended up with a glimpse of our life at the time and I love it. I have more time now which in a way is more challenging! I tend to want to capture everything! Hope you have a wonderful week! I love that quote too Annette! That sounds like a great intention! I feel like with how my life is going right now I'm just going to go with the flow this week! 1. SET AN INTENTION AND/OR HAVE A REASON WHY // I so agree with this. I did this for my DD project this year and it really helped me to get the project done and keep my focus and it was a daily reminder of WHY I wanted to do this project. It 100% helped me (a) get the project completed (2) and I had fun and thoroughly enjoyed the process. Reading my intention daily helped with the process! 2. NARROW YOUR FOCUS // Again, by setting my Intentions I knew what I wanted to get from the project and for my DD it was to not STRESS over it but to ENJOY the process. And I will set a similar intention for WITL. 3. REVIEW PAST WITL PROJECTS // So, so, so agree! I am now on my 7th year of WITL and am so glad I have completed it each year. LOVE the memories and this motivates me to get it done. 4. IF YOU ORDERED THE KIT, OPEN IT UP // Never ordered a kit but I do plan a general layout for my week so I can have a cohesive album. For each day, I use the same layout -- makes it easier to decide on # of photos etc. 5. TAKE IT DOWN A NOTCH // This is my favorite Piece of Advice. "Use what you have right now to capture your life right now. No stress, just document." My mantra, don't STRESS!! 6. DOWNLOAD THE DAILY SHEETS // Love these sheets and use them every year!!! 7. GET YOURSELF IN THE STORY // LOVE this reminder. I always try to get a full body shot of myself b/c its interesting to see what I'm wearing, how my hair is styled, etc. Last year, I did a family shot each morning using a timer. This was fun to have all of us in a daily photo together. 8. PURCHASE A LAYERED TEMPLATE SET AND/OR WORD ART // I agree having a template is so timesaving!! THANK YOU ALI this is my favorite project of the year. IT's a lot of work but so worth it!!! Battery is charged, daily sheets are printed, getting ready posts have been read, let's do this! I'm starting tomorrow (Sunday) also, just because it's Mother's Day. My work week is pretty mundane, but who knows, I might surprise myself! Very excited to do this!!! One thing I love each year I do this is passing my camera on to my kids' teachers. And they are OK with that. I like to document a week in the life of our entire family, not just me or when they are with me. I work at the school my kids go to and it is small. I ask each teacher to use my camera for a day to snap a few shots of my kids at work/play in the classroom. I love including that piece that I would otherwise never get to see. Just an idea to pass along. If only my kids were little again. What a wonderful idea. I agree with Michelle and Annette. My intention is Keep it Simple,record the memories and Get it done! I'm excited! This will be my second year doing the project and my fourth year following along online. I love this project! Last year I spent a lot of time getting ready but this year I've hardly had time to think about ut. It'll be interesting to see how that impacts my success tommorrow. It really helps to take it one day and one step at a time. Wake up, live my life, take pictures as I go. Even with all the mental noise I have from work stress and no clear intention or theme, I can take the pictures. A lack of focus IS my story right now. Big life transitions, too many balls in the air, confusiion, exhaustion - lets see what that really looks like - and all the tender moments in between. I'm excited to begin today... Mother's Day. All my kids are grown and gone, so I am going to attempt this project with a new look on life. Thank you for opening my eyes to a new way of seeing things... can't wait to see how this week turns out! Would love to see any of your postings. I'm really excited about starting my week, even though this week will probably not be a normal one (my daughter broke a tooth at day care on Thursday and I might have to take next week off work in order for us to make sure she gets her medication on time). When I realized this would not be a normal week I thought about waiting until later in the month, especially since last WITL was the latter half of a vacation, but wacky changes are also part of living and there is value in recording our rhythms in an odd week just as much as a normal one. I also really like doing the week along with everyone else. If I end up being off work for the whole week I might do another WITL in early June to put with this one to show the routines that I missed. Oh my, who is that huge dog? He or she is certainly at home! Life is good! I am starting tomorrow Tuesday just because here we are half a day ahead of the US so I get the emails etc late in my day & also cos I forgot! This is my first time of WITL, I usually scrap my memories on 12 x12 but more recently have started using 6 x8 for projects, I did complete December Daily & that was the first time I did a project life style project. My intention for doing WITL is record a normal week, I know what & when & how I spend my days but in the future my family wont know. so this will be a snap shot of a week in my life. Here you will be able to get rid of queries regarding http://gethelpwindows10.com help windows 10 and this website not only clear your queries but also increases your information.